Drug addiction can hit the very core of any relationship. But as someone who has pledged “for better or worse,” your relationship requires you to be there for your wife when she needs help. When the person you love isn’t there anymore and is threatening the foundation of the family by using, seeking drug addiction treatment is the best way to go alleviate what your family is experiencing. As hard as it may seem to accept, intervening for your wife is the only way to make things better. One of the most common misconceptions about drug and alcohol treatment is that the person needs to choose themselves to go to rehab in order to have a successful recovery. The truth is, most addicts are compelled to have treatment because their family and friends perceive the problem and took the needed steps to get their life back on track. When your wife has become addicted either to drugs or alcohol, She may be unwilling to talk about her drug abuse or take steps to make it better. this reticence can often be perpetuated by domestic problems and occurs because of an unwillingness of both parties to address issues head-on. Nonetheless, if addiction is getting out of hand, it is best to work on the solution towards getting your wife the treatment she needs. An intervention and having her commit to drug addiction treatment will do so much to protect the integrity of your relationship along with setting her life on the right path. This may not be as easy as it sounds because it can be challenging to persuade your loved one that they need to seek help for their addiction. Get educated. One way of providing support is being educated about her addiction and how you can manage the stress yourself. Attend support groups to help you gain knowledge on the steps needed to gain sobriety and how you can take your wife away from the temptations that contribute to her addiction. Tell your wife how it affects everyone. It is important to let your wife understand the severity of her addiction and how it is impacting everyone around her. Tell her how you worry about the authorities showing up late at night to tell she’s dead or how scared you are of the kids in the car if she is driving drunk. Support her all through her treatment. 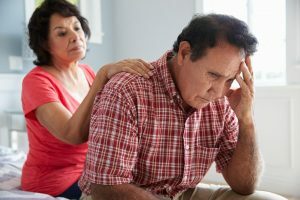 Intervention is not just the most important part of getting your wife’s life back on the right part, but being there for her throughout her recovery is needed to sustain her sobriety. Encourage her for every goal she achieves and support her so she can focus on her battle with addiction.